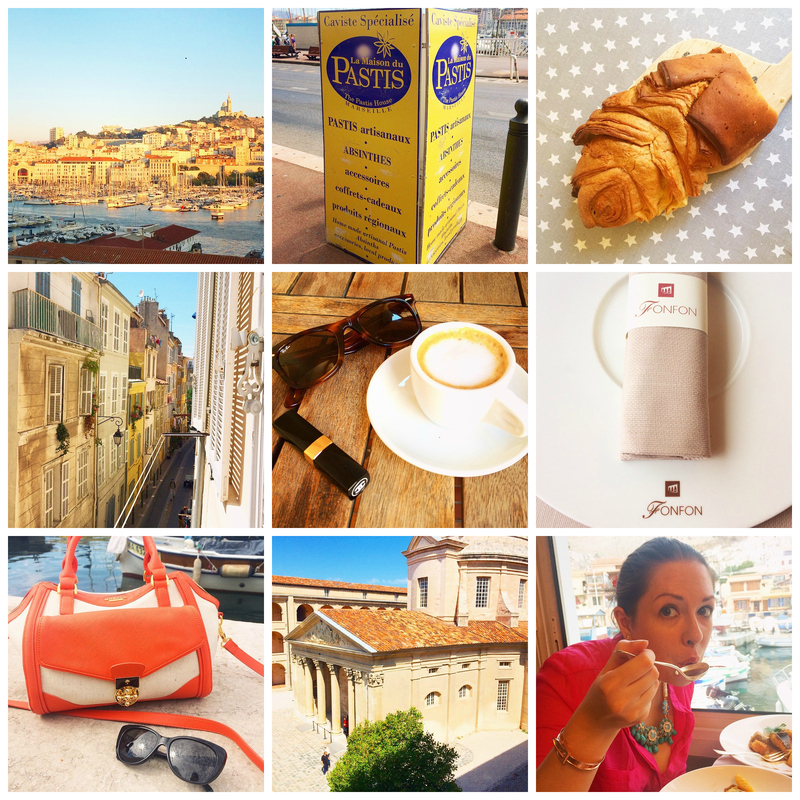 Marseille looks beautiful in the evening / discovering I really, really don’t like pastis / but I do like specialty bread (but I knew that already…) / gazing down the streets of Le Panier district / coffee, Ray-Bans and Chanel Monte Carlo / the best meal of my life at Chez FonFon / my favourite summer Modalu bag and DKNY sunnies / La Vieille Charite, a treasure of Marseille / chowing down on bouillabaisse. A decadent buffet at La Cuisine du Môle Passédat / a view of Le Vieux Port / hanging my Hush shirts to dry like a Marseillaise / why choose one pie when you can have all three? 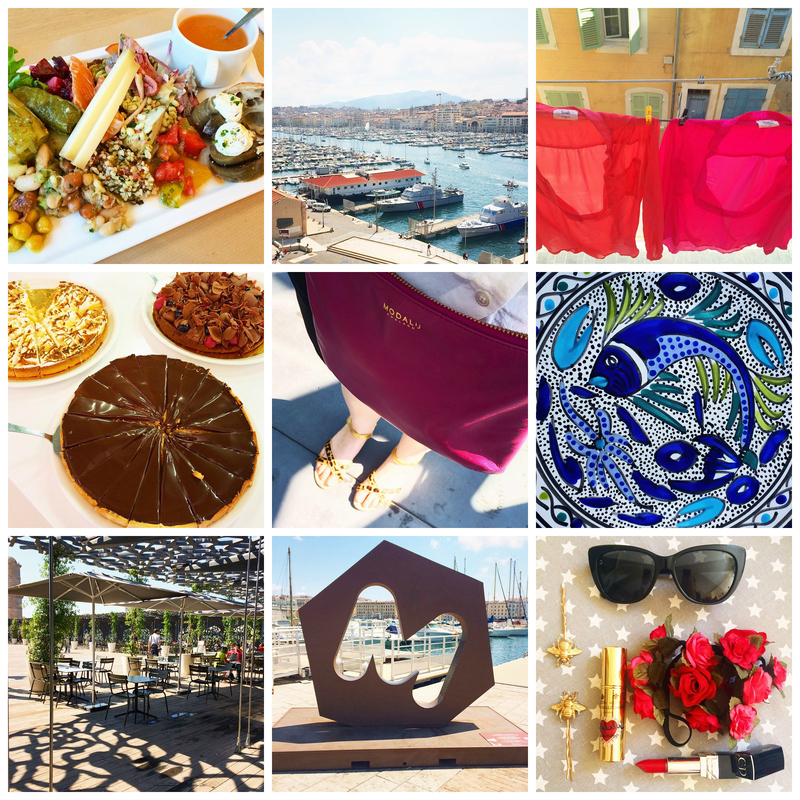 / berry Twiggy from Modalu paired with gorgeous leopard flats from French Sole / a pretty plate from La Kahena / the roof of the beautiful MuCEM / an iconic Marseille M / vamping it up with DKNY cat eye sunnies, bumblebee pins, Tralalala from Penhaligon’s, a pretty rose headband from Acessorize, and Dior 999. 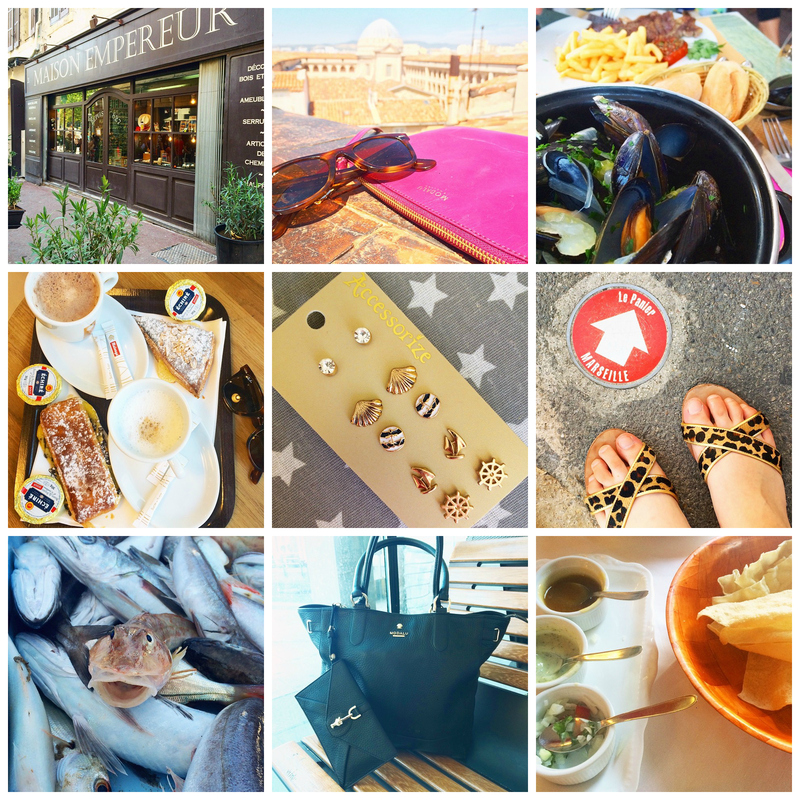 One of my favourite shops in Marseille: Maison Empereur / La Vieille Charite from the rooftop of our Marseille apartment / moules mariniere, one of my favourites / patisserie and coffee for breakfast at Galeries Lafayette / the perfect holiday earring set from Accessorize / heading home to Le Panier / a friendly hello from the Marseille fish market / the Modalu Dickens tote in black, a fantastic carry-on bag / home again: curry at Everest. Baking a chocolate and caramel cake for the in-laws / and making some Riverford cucumber pickle for myself! 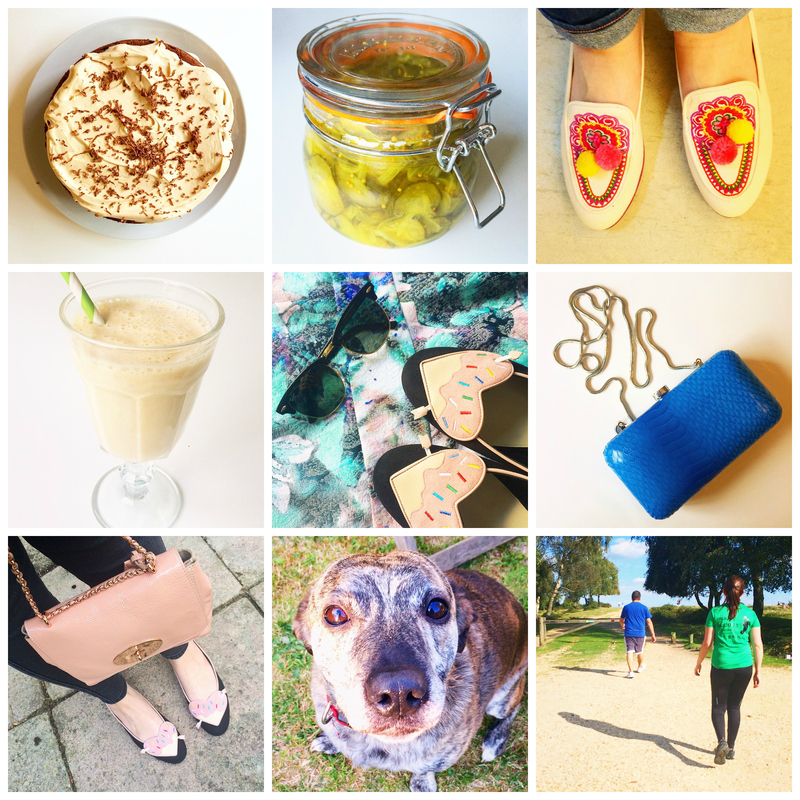 / a naughty pair of LK Bennett flats – at just £50, irresistible… / a new favourite: banana and oat smoothie / Ray-Ban Clubmasters, London Sole vs Tokidoki flats and Warehouse dress / that clutch from Oroton / Mulberry Lily in plaster pink with the LS flats / Pip the dog pretending to be sane / the new running season begins!